The Ocean Modeling Forum convened a working group comprised of modelers, users of modeling output, and experts in herring biology, traditional use of herring resources, and governance structure to explore aspects of the Pacific herring social-ecological system and improve advice for managing herring fisheries. The working group will bring together multiple models and types of information, including local and traditional ecological knowledge as well as conventional fisheries survey data, to explore the consequences for fisheries, ecosystems, and people of incorporating diverse information streams and spatial complexity into models of the herring social-ecological system. 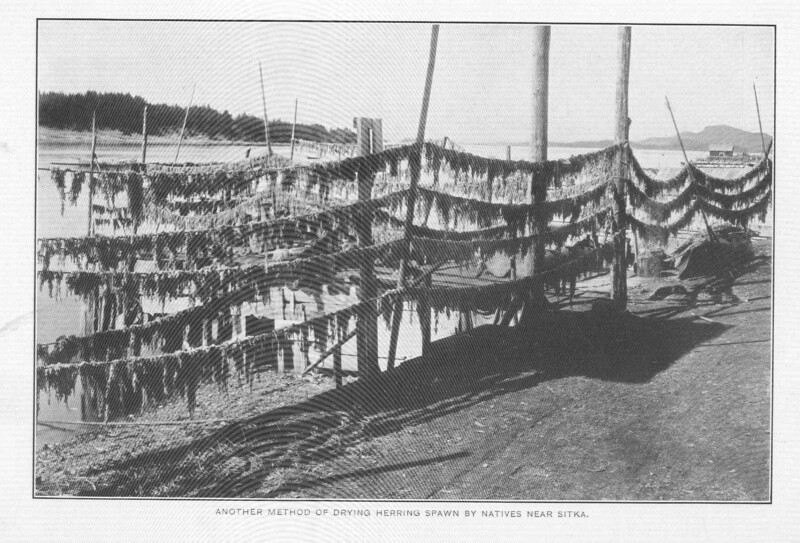 We will explore these questions in a comparative framework, contrasting the social-ecological herring systems in Haida Gwaii, British Columbia and Sitka, Alaska. The group aims to provide broadly-applicable approaches for incorporating multiple forms of knowledge into formal fisheries assessments, and for evaluating fisheries sustainability in terms of ecological, economic, and social outcomes. Drafted a workplan including tasks to accomplish before the group’s 2nd meeting, scheduled for May 10-12, 2016, in Haida Gwaii, B.C. Figure 1: Conceptual model of working group research focus. What are the impacts of herring fisheries on ecological, economic, social and cultural components of social-ecological systems? How can traditional and local ecological knowledge be incorporated into conventional herring fisheries assessments? How does spatial structure of the fisheries system impact the distribution of benefits in the system? 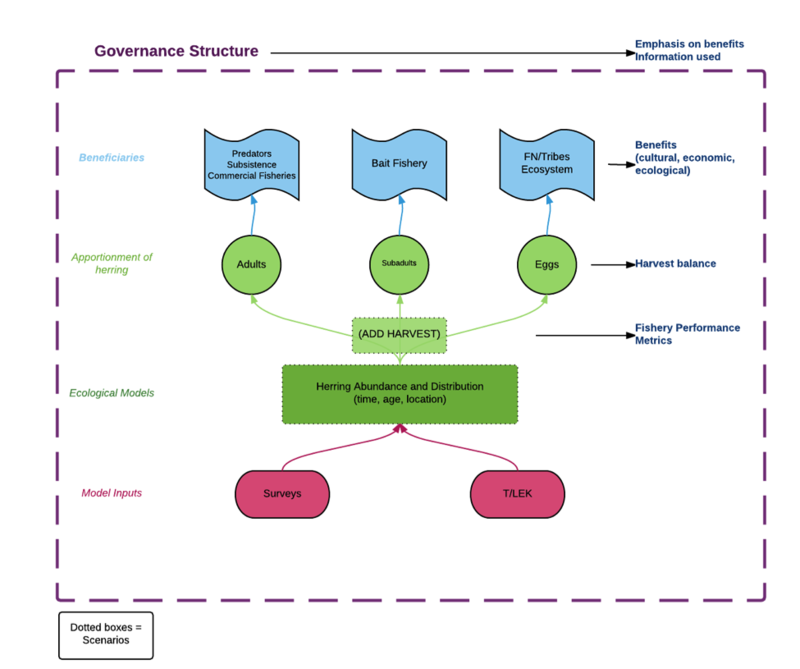 How does governance structure influence the use of information in fisheries assessments, and the relative emphasis on benefits derived from herring fisheries? This working group follows on the work begun in June 2015 during the Herring Summit in Richmond, British Columbia. The group meets next in Haida Gwaii, British Columbia from May 10-12, 2016. Future meetings are planned for August 2016 in Sitka, Alaska and early 2017 in Seattle, Washington.